MAZDA’S recent focus on shaving fuel use via its SkyActiv program is the reason its cars now feature at the pointy end rather than fighting it out mid-pack as they often did previously. The Mazda 3 has always possessed a blend of qualities that make the model an excellent value proposition, a fact that explains the more than 3000 new buyers it attracts each month. These strengths carry into the third-gen model in the form of a stout 77 percent three-year retained value, which translates into $5900 lost over the first three years – less than any other car considered in this class and price bracket. The 3’s insurance premium is low at $982, although it’s worth noting that there’s not much variation among small cars. A 12-month service interval is also a big plus. And, while the brand’s three-year warranty isn’t the best out there, we’d be worry-free about the reliability inherent in anything with a Mazda badge. Then there’s the economy. The outgoing model drank 7.9L/100km on the combined cycle; the new one is some 27 percent thriftier, at 5.8L/100km (and still on bottom-shelf 91 octane). 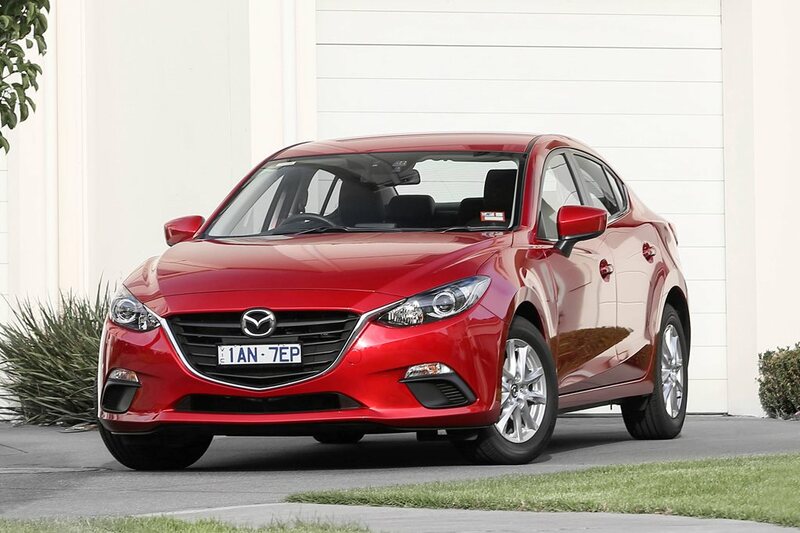 With this previous missing link addressed, the Mazda 3 is an all-round Star. OUR summation in Showroom is, of course, spot-on: “Entry-level diesel remains excellent value.” The i30 does it by putting in consistently solid performances across the disciplines, offering excellent economy and reasonable resale, before bringing it home with a 12-month service interval and five-year warranty. SINCE Renault re-platformed its base Megane, driver appeal and ride quality near to the old-school French variety have been part of the deal. In base turbo-diesel form, so is excellent economy. Long warranty and service intervals are great; resale and reliability reputation less so.